Despite what paranormal television shows portray, most hauntings are subtle. You could have a ghost nearby and not know it. Here are 10 signs of a haunting you might not be aware of. Bad Luck – Have you recently had a string of bad luck happen to you? It feels as though nothing is going right. Appliances seem to keep breaking and your cell phone keeps losing all its contacts? Tech-savvy ghosts are capable of bringing bad luck to our lives. Odd Smells – Ever smell something in your house that doesn’t make sense, like the aroma of baking bread, floral perfume or cigar smoke? These are signs ghosts sometimes give us to alert us of their presence. The ability to detect ghosts by scent is called clairalience. It is a mediumistic ability that not everybody possesses. Missing Items – Do you feel like you’re always looking for misplaced items? Ghosts often play a spectral game of hide-and-seek with their living room-mates. An item will go missing, only to turn up in an unusual place. People often blame this on a lack of sleep or a busy schedule, when in fact, it has a vastly different explanation. Frequent Nightmares – If you are plagued with frequent nightmares that have a different texture from your normal dreams, you might look deeper for the cause. Blame it on the pepperoni pizza you ate before bedtime, but it could be an entity trying to rouse you from sleep. Exhaustion – Ghosts need energy and they often pull it from the living. Paranormal investigators frequently discover the batteries on their equipment draining at haunted locations and feel exhausted after an investigation. Ghosts will pull energy where they can find it.A typical sign that a ghost is using your energy is the sensation of vibration. When they pull energy from us, sometimes their vibrational rate is different from ours, giving us the feeling that we are vibrating from the inside out. Strange Photos – When you upload your pictures from your camera or cell phone, do you ever find strange streaks of lights in the photos? Ghosts typically don’t show up in pictures like we expect them to. Often, they appear as streaks of light or strange unexplained mists. Odd Pet Behavior – When your cat or dog watches something moving around the room, don’t immediately brush it off as being an insect. Pet’s vision differs from ours, allowing them to see a broader spectrum of light. They might be seeing something paranormal that you can’t see yourself. Frequent Ear Ringing – Do your ears ring at strange times? While this could be due to a medical condition called tinnitus, it’s also a mediumistic ability called clairaudience. People with this ability will often hear a tone that is similar to ear ringing. The next time it happens, turn your head to see if you can localize the sound. Is it moving around the room, growing fainter as it gets further away? If it is, chances are you’re hearing a ghost. Unexplained Nausea – Some people get physically ill when a ghost is present. The sensation is typically presented as a sudden upset stomach and the feeling you are close to vomiting. Try leaving the room and see if the feeling abates. If it does, you might be physically reacting to the presence of a ghost. Feeling Watched – Do you ever get the feeling like someone is watching you? You turn, but find nobody else in the room. This is a frequent sign of a haunting. The sensation is usually unnerving, at best. Try moving from the room to see if the sensation goes away. If you’ve experienced any of these behaviors on a regular basis, it might be time to do a little research into the history of your house. 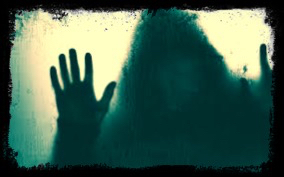 While not all ghosts are malevolent, as they are portrayed in paranormal television shows, they can’t always hide from us. If you think your house is haunted, reach out to a psychic medium or Shaman to help you do a house cleansing to clear your house of spiritual energy. For more information about signs of a haunting and exploring your own mediumistic abilities, check out Joni’s book Ghostly Defenses, or one of her paranormal true stories available on Amazon.com. Click on any of the book covers below to learn more about each book. This entry was posted in Uncategorized and tagged Amazon.com, Clair audience, ghosts, Hauntings by jonimayhan. Bookmark the permalink. I have the buzz in my ears but not all the time and if I go downstairs it fades but then comes back do u think am being followed r watched ova by a love one that passed away!!! It took me many years to understand what the buzzing meant. It’s a mediumistic ability in many cases called clairaudience. Ive had ringing in my ears off and on for a while now. They thought it was my blood pressure and put me on meds but my bp is now 100/70 and I still have this annoying ringing. Mostly at home is when I have it but sometimes at work. Would that mean the ghost is going from home to work with me sometimes? It’s really hard to say if it’s paranormal or medical. The way I disguished my ability from a medical condition was to work with a medium, who can validate what you’re feeling. Also, try to see if the sound grows fainter as you move away. I can track them moving around the room. Each one has a slightly different tone, so I can determine how many are there. It’s something you have to work on and it develops slowly. Good luck! What about when I’m putting my 2 yr old grandson down for a nap and he stares at the ceiling. He starts laughing, waving and pointing. I don’t see anything, but there’s a heaviness in the room. I truly believe that children are more open to ghosts and spirits than adults. They haven’t adopted a filter yet. Chances are, it’s a family member who has passed and is coming back to check out the new baby. Keep an eye on it and if anything else happens, talk to your minister about doing a house blessing or find a good psychic medium to do a cleansing. Best wishes! I used to babysit my niece, who was under a year old at the time. Her family lived in a house that was around 100 years old. More than once, as I was holding her on my lap, she would chatter away to someone about the same height as her eye-line, so I believe it was a young child she was talking to. I told my sister but I don’t know if she investigated further. i have buzzing all the time. then i get really cold. and cannot get warm. feels like something is trying to get into my body thru my back. If you think it’s something that’s trying to hurt you, don’t hesitate to ask your minister to bless your house or find a medium to do a house cleansing. It can’t hurt and might ease your mind. from my years of experience of the paranormal, you are right on here. You’re very welcome. I’ll post another article soon on how to keep yourself protected. When I was little, starting about 4 or 5, I would always have this certain dream. I would continue to have it until I was 17, when the dream came true. I sometimes get strange feelings and smell a strange odor alot. What could this mean ? I had the same thing happen to me. It could be someone attempting to pass along a message. You are probably a sensitive, meaning you sense spirit and ghost energy. Smelling a strange smell that no one else smells is actually a mediumistic ability called clairalience. Google it and you might be surprised with what you find. The strange feelings are more than likely your way of feeling a ghost nearby. Most of them are harmless, but you still want to be careful. I’ve written a book about how to keep yourself protected called Ghostly Defenses. It goes through all the types of abilities, along with ways to keep yourself protected. It’s only 99 cents on Amazon. I kept it priced low so people have easier access to it. Best of luck! Thank you for writing this article. I have 10 that you said and my 3 daughters all see and experience the same thing. Even though I have experienced the paranormal realm all my life lately it has been so much harder to deal with because these abilities are getting stronger for me. And I have these entities around me and my girls 24/7. For a while I was not going to seek help to cleanse my house because no matter where I go they are always there so I felt what difference would it make. But now I am seeking someone to help me cleanse my house because it is becoming overwhelming. You said things that I have never said to anyone else because I thought it was in my head but now I know its not. So thank you once again for writing this once again. I would love to share more with you sometime. Have a great day! You’re very welcome. More than likely, you are a sensitive, which tends to draw them in. The majority of them are harmless, just human souls wanting attention or needing to pass on a message. They look to you for help because, unlike most people, you’re aware they’re there. I’m the same way. Ghosts follow me home from everywhere I go. I’m attempting to get a better handle on my shielding abilities. You might work on that too. Working with an experienced medium is usually the best way to go, since they can guide you based on what they see. Also check out my book, Ghostly Defenses on Amazon.com. It’s cheap – only 99 cents – and it goes through all the ways a sensitive can protect herself. Best of luck to you. I’m sorry to hear you’re going through such a horrendous haunting, Kaleigh. Do you know any psychic mediums in your area who can help you? I really good one can move the entity out and give you some peace. If you don’t, try talking to the clerks at your local metaphysical shop. Friend me on Facebook and we can chat more. I saw my mum, this was a month after she passed away, mine is a strange story and I don’t have any explanation to It. I was only 24, was on my way to work, I felt terribly dizzy and sick and had to come back home. I guess I dozed off for a while but I saw her when I was quite on my senses, I was lying on my bed and she came from behind, I saw her stretching her hand to reach me, her face was dark, she had a bright light around her, I was so scared that I screamed but my voice chocked, she just vanished in thin air. She never came back. I shouldnt have had screamed, she was trying to tell me something. I lost her forever. Not sure if this was a dream but felt so real. I’m sure she was trying to comfort you. Loved ones often come back to check on us. Personally, I think screaming in that situation was a completely normal reaction, and I’m sure she vanished because she didn’t want to scare you. A mother’s love transcends time and death. Sweet story. Thank you for sharing it with me. I accidentally left my voice recorder on march 24 2015. I must have tapped it before I went to bed. 3 seconds before it cut itself off for my husbands alarm I got my daddy tellin me he loves me. I have had ghosts in my life for most of my life. Thank you for clearing up the mystery. Awesome post! Thanks, Sherri! I’m glad you enjoyed it and found it helpful. It could be a family member coming back to visit you. The activity sounds gentle and comforting, unless I’m reading this wrong. If it makes you feel uncomfortable, ask it to stop. If any activity makes you uncomfortable, you have the right to claim your space. With aggressive activity, I recommend having your minister come in to do a house blessing or to contact a psychic medium to do a cleansing. Good luck! I have had some strange things happen to me. Waking at 3 has becone a normal thing for me n e more…and the night mare i have is spine tingling. Would love to send a private email if possible.